There are many different accounts of the Uri and Thummim (light), but I am of the conclusion that this was a device used by the High Priests to communicate with their Gods or what I refer to as Ancient Aliens. The device consisted of 12 crystals that worked with sound, light, and color. Gemstones and Crystals are used in communication harmonics, to amplify energy, and to shift grids. Urim and Thummim, generally translated as "lights and perfections" or "revelation and truth" were a scrying medium or divination process used by ancient Hebrews (usually Israelites) in revealing the will of God on a contested point of view or other problem. According to The Church of Jesus Christ of Latter-day Saints, they were also used to translate ancient manuscripts, including The Book of Mormon however, their recorded use by Joseph Smith, Jr. is not in conjunction with their recorded historical use by the Hebrews. According to the teachings of Judaism, a small parchment with God's holy name, the Tetragrammaton, inscribed on it was slipped into an opening under the Urim and Thummim on the high priest's breast plate, which caused the breastplate to "glow" and thereby "transmit messages" from God to the Children of Israel. 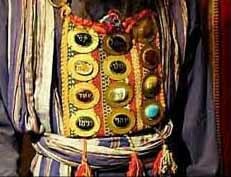 The Urim and Thummim is also thought to be a Hebrew oracular device, used in the following manner: "The twelve stones in the breastplate, with their bright colors, were of great importance in the oracular sentences of the high priest, who by means of these stones made the Urim and Thummim exercise their functions" according to Ginzberg's Legends of the Jews. Some scholars have suggested "the" Urim and Thummim consists of two crystals; however, the precise nature of the medium is unknown to most secular scholars. According to the Hebrew Bible, stones used for "an" Urim and Thummim were kept in the breastplate of Aaron, the brother of Moses.  More recent scholars have pointed to the plural nature of the words to argue that there wasn't "a" certain device, but rather Urim and Thummim was the process or procedure priests used in the casting of lots and some sort of stones or jewels were the medium. Others have pointed out that the words "Urim and Thummim," in the Hebrew, begin with the first letter (aleph,) and end with the final letter (tav,) of the Hebrew alphabet, that the device contained these and perhaps other letters of the Hebrew alphabet, which were used as lots to determine the response of the oracle. There is some evidence that Urim and Thummim were/was used as a lot that provided "yes" or "no" answers, depending upon whether the Urim or the Thummim came into play, as manipulated by a Hebrew oracle. There is also evidence that the medium was used as an ordeal to establish a person's guilt or innocence. The earliest reference to Urim and Thummim in the Hebrew Bible is that Aaron carried them with him as High Priest. 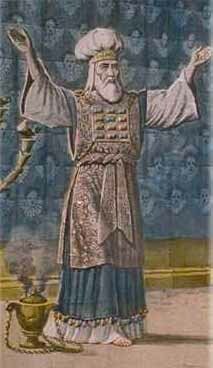 Many scholars believe Urim and Thummim were originally stones that resided in the breastplate (with other precious stones) of the Jewish High Priest ceremonial clothing when he officiated in the tabernacle or temple. Upon the death of Aaron and Moses, Joshua was instructed to present himself to the high priest for the counsel of the Urim and Thummim when he wished to consult God. This was in contrast to Moses, who was believed to speak to God directly, and indicated that Joshua would not normally receive direct revelation. The last agreed-upon reference to Urim and Thummim in the Bible is in Ezra and Nehemiah when, as the Temple and its worship practices are being restored, those who cannot prove their lineage as priests are commanded to wait for a priest with Urim and Thummim to identify them. Some feel that "Urim and Thummim" is another name for the casting of lots, rather than a device (or stones, etc.) that is used as a medium. Because of this context, some traditions hold that the choosing of Matthias to replace Judas Iscariot in the book of Acts by the casting of lot was done by Urim and Thummim, rather than by "the" Urim and Thummim. In either case, Urim and Thummim is not mentioned specifically in Biblical text in regard to this calling. Some feel that "Urim and Thummim" is another name for the casting of lots (or stones, etc. ), rather than a device that is used as a medium. Because of this context, some traditions hold that the choosing of Matthias to replace Judas Iscariot in the book of Acts by the casting of lot was done by Urim and Thummim, rather than by "the" Urim and Thummim. In either case, Urim and Thummim is not mentioned specifically in Biblical text in regard to this calling. n Mormonism, Joseph Smith, Jr. used a purported Urim and Thummim to translate the Book of Mormon from gold plates. Smith also purportedly used the medium to dictate some of the sections of the Doctrine and Covenants as well as to facilitate some portions of the Joseph Smith Translation of the Bible. The LDS Bible Dictionary defines a Urim and Thummim as "an instrument prepared of God to assist man in obtaining revelation from the Lord and in translating languages." Presumably, in Mormon belief, no qualification other than God's selection and ordination is necessary for an item to become a "Urim and Thummim". In the Book of Mormon the prophets Ether and Mosiah both used devices called "Urim and Thummim" to receive revelation for their people. Latter-day Saints profess that utilization of a Urim and Thummim is the "special prerogative of a seer", although not all seers use a Urim and Thummim. 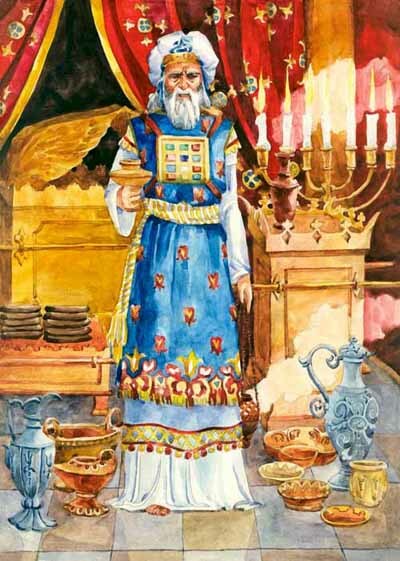 Masonic Legend (taught during the 13, 14 and 21 degrees ceremonies of Masonry) and Kabbalistic tradition state that Urim and Thummin were part of the recovered artifacts taken from Solomon's Temple after Hiram Abiff was murdered while protecting the temple treasury. According to the legend, Urim and Thummin and other recovered treasure were placed back in the temple treasury. Yale's Coat of Arms -- The Biblical Hebrew "Urim and Thummim" is emblazoned across the open book pictured on the Yale shield, a legacy of Yale College president Ezra Stiles. It is translated in Latin on a banner below as "Lux et Veritas" ("Light and Truth").